We've finished our prototype and invited dozens of beta-testers. Our target audience is amateur musicians who want to feel like they are playing with a band. 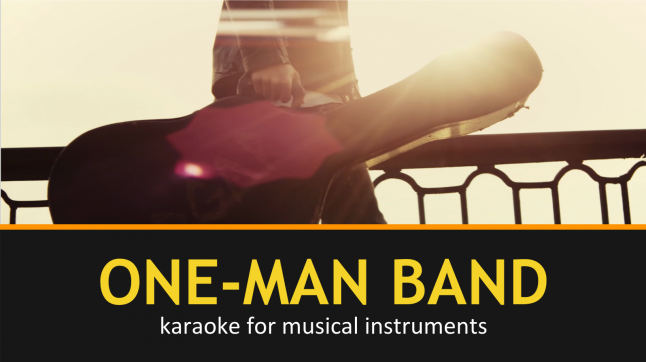 While singers have a lot of karaoke-sites and apps for singing, there is no easy way to find good-quality backing tracks for musical instruments. We do believe that anyone who spends money on tabs or piano sheets is our potential customer. But now the #1 site for guitar tabs has 50 times more visits than the #1 site for backing tracks. This is because the latter doesn’t have good-quality content, a mobile app, any advertising and the list goes on and on. 1. Karaoke-version.com - with about 50 000 backtracks for all instruments this is the largest site in this category. Prices range: from $1.99 per backtrack and $2.99 per custom multitrack. 1M visits per month. Tracks come without chords and notes. No mobile app. <10% of the songs are of good quality. 2. Rock Band & Guitar Hero - popular video games with guitar controllers. Good quality backing tracks. Make close to 3M sales units and over $200M revenue per year. Just video games, but some people use them to play on real guitar. In this use case scenario, they do not have many tracks. 1. A chicken-and-egg problem, which is common for marketplaces. We know how to avoid it.